Doesn’t look very exciting, does it? One taupe eyeshadow pencil, all alone there. 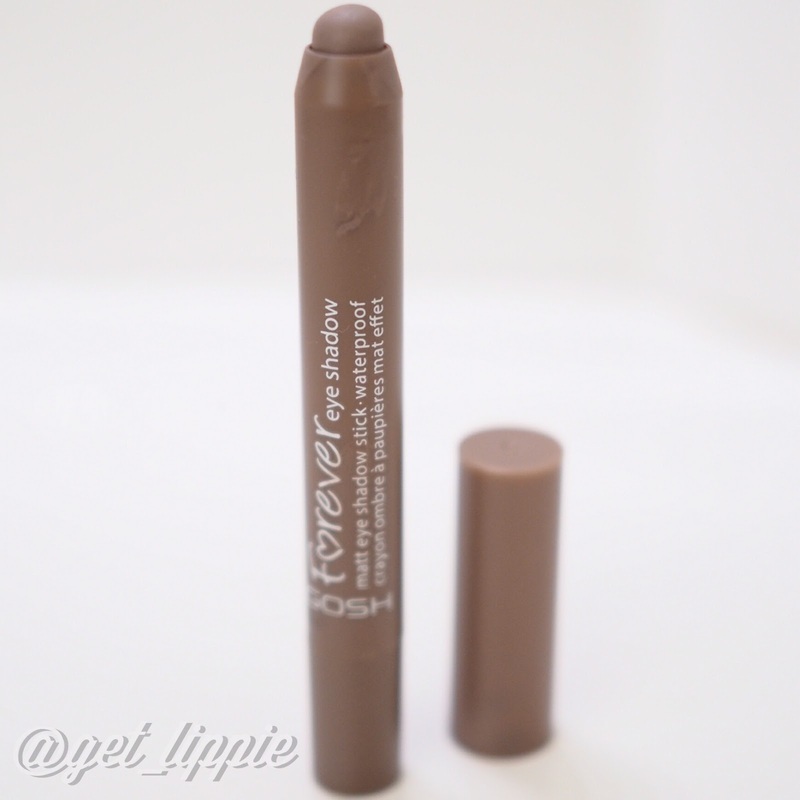 But trust me, for £6.29 this GOSH Forever Matte Eyeshadow Stick might just change your (makeup applying life). Eyeshadow pencils are nothing new, in fact, I’ve acquired so many great pencils over the course of the last 12 months or so that I’ve barely bothered applying powder eyeshadow at all, to be honest, but matte eyeshadow pencils? Oh, they’re rarer than unicorn farts, so they are. Yeah, it doesn’t look any more exciting when you take the top off either, does it? 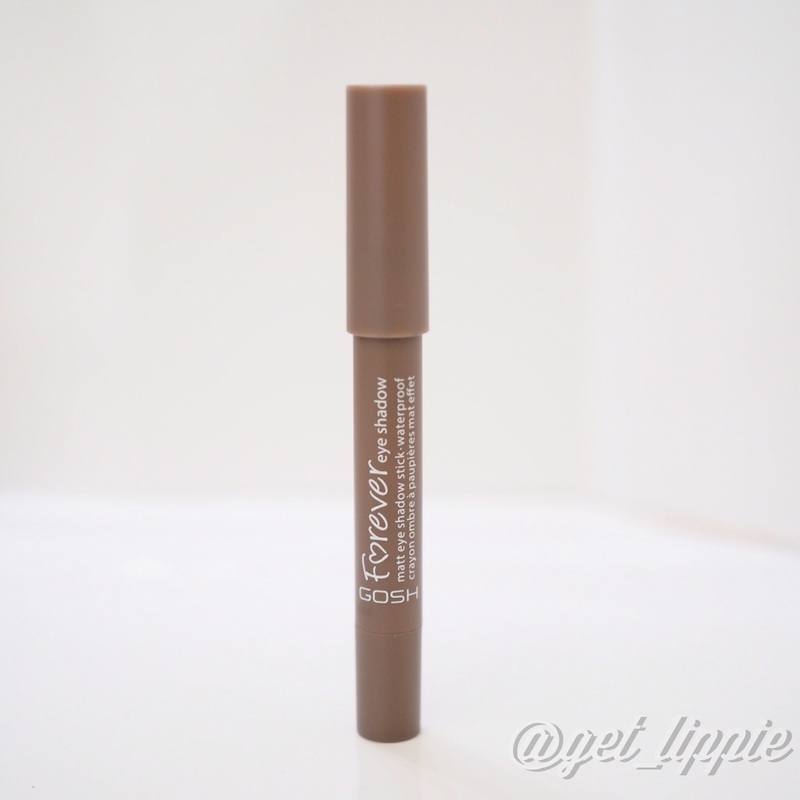 The GOSH Forever eyeshadow stick is pigmented and silky and lovely, and lasts beautifully on even oily eyelids. I find a couple of swipes of this shade (which is No. 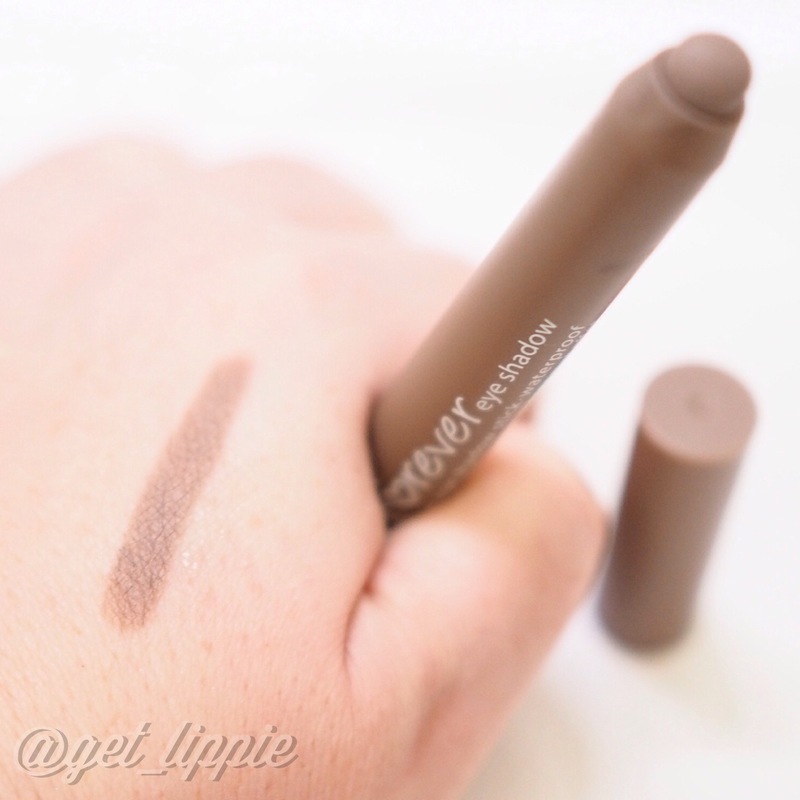 10, Twisted Brown), hastily blended in with a fingertip gives a great neutral base colour, which is buildable and lasting. I generally wear it on its own with just a slick of liquid liner, and boom! Polished eyemakeup in less than two minutes. Okay, three minutes if you include mascara (which you should always do, peeps). It’s a kind of perfect nothing-y shade, which looks like nothing more than shadows on skin (this is one pass with the pencil, btw) when blended with a fingertip, and is perfect for days when you just simply can’t be bothered with thinking about your makeup (I have lots of days like this, sometimes it’s all I can do to pick out a lipstick for the day, frankly) and it’s a great shade for everyday looks. There’s a darker brown shade too, but that’s just a little too warm for me, but I’ve used this almost every day for the last two months, and I’m definitely going to splash out on a backup or three. For £6.29 from Superdrug, I’d be insane not to.